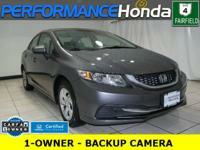 CARFAX 1-Owner, Honda Certified, ONLY 28,007 Miles! LX trim, Crimson Pearl exterior and Beige interior. Bluetooth, CD Player, Back-Up Camera, iPod/MP3 Input. READ MORE! 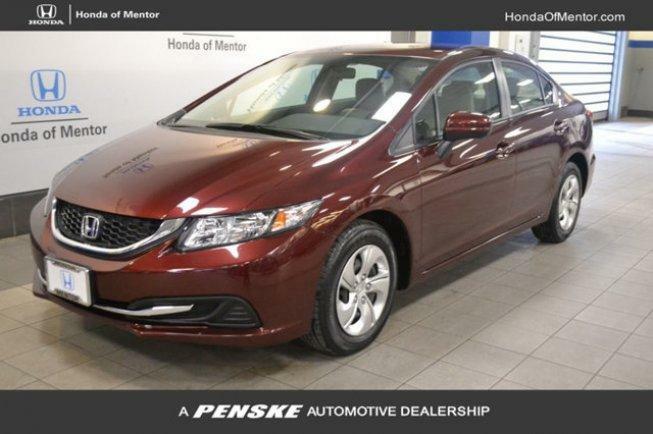 Child Safety Locks, Electronic Stability Control, Brake Assist, 4-Wheel ABS, Front Disc/Rear Drum Brakes Safety equipment includes Child Safety Locks Honda LX with Crimson Pearl exterior and Beige interior features a 4 Cylinder Engine with 143 HP at 6500 RPM*.